Mr. Huang is the Assistant General Manager of Financial Market Department, Minsheng Financial Leasing. He is currently responsible for MSFL's offshore funding business including aviation, shipping and capital market. Mr. Huang joined Minsheng Financial Leasing in Sept 2013 from ICBC Leasing where he worked for more than three years. 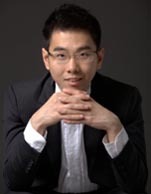 Mr. Huang holds a Master (honor) degree in Quantitative Finance from University of Sydney and a bachelor degree in Financial Engineering in Xiamen University.